The Swift is starting to show up with more and more driving instructors, and with sharp styling and low running costs it’s easy to see why – there’s no doubting it’ll attract learners and new drivers, but is it suitable? We've spent six months with a 1.2-litre SZ4 model, more details about which you can read here, but this review concentrates on how it works as a learner or new driver's car. Getting comfortable in the Swift is very easy. The seats, wheel and mirrors are all very easy to adjust and the controls are all sensibly placed and clear. There’s nothing radical about the dashboard layout, but that’s a good thing. The rev counter and speedometer are both well sized and easy to read. Moving off is very easy – the clutch pedal is light and finding the biting point is usually quite simple, although it can bite a little suddenly and stall if you’re not paying attention. It’s nothing to worry about, though, and takes no time to get used to. The Swift is a really good car to drive, whether you’re a learner or an experienced driver. The steering is precise and reasonably well weighted, if a little light, while the gear shift is tremendously slick, requiring no effort at all. The gear ratios are good for town driving – you can plod along at 30mph in fourth gear without the car running away from you - which makes life easier in the urban areas you’re likely to learn and take your test in. The only problem with the Swift when out on the road is very minor – rear and rear three-quarter visibility could be a little better, although neither is terrible. Nonetheless, if you find a decent sized space and you practice you shouldn’t have much trouble, and it’s easy to correct your position and line the car up perfectly in its space. The Swift is a well styled little car that’s both easy and enjoyable to drive, making it a suitable car for a learner or a new driver. Visibility isn’t the very best, but it’s not bad enough to cause any problems. The light clutch, precise steering, easy gear change and clear instruments mean that getting to grips with the specifics of driving should be extremely easy in the Swift, and it’d be a sensible choice to learn in. Finding one: It can be hard to find a driving school with a Swift - although its popularity is increasing. Visibility: It can be tricky to judge the distance behind the car when parking. I think this is a very good appraisal of the Swift. 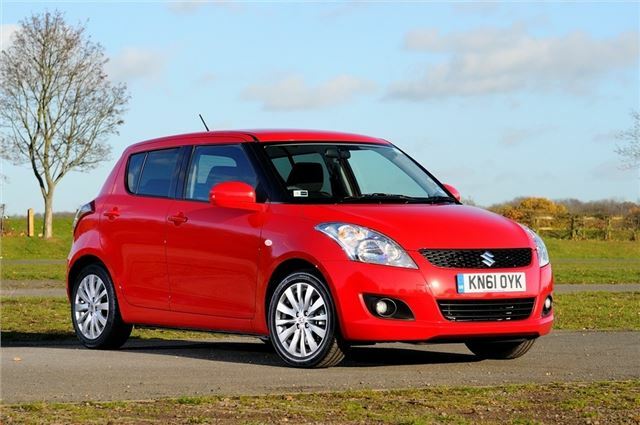 I am a driving instructor located in Cambridge and my school car is the Suzuki Swift described in the carbuyer review. My driving school is called Wright Choice Driving School and my name is John Wright.